The project “Reporting Effectively on Development, Minorities & Migration” aims to raise EU public awareness of the interconnections between the EU and developing countries on issues concerning poverty, migration and minority exclusion. In addition, the specific objective is to improve media coverage of development by strengthening the capacity of journalists and journalism students through non-formal education opportunities to report sensitively on poverty, migration and minority issues. Participants will be expected to devote 2-3 hours every week towards reading, doing their own research, completing the quizzes and tests, and doing the assignments. Gender Project for Bulgaria Foundation (GPF) will facilitate 20 journalism students from Bulgaria, graduates of the online course, to go on one-month internships at national media. Selection will primarily be based on the level and quality of applicants’ participation in the online training course. In their applications, they will be asked how they plan to use their internships, and to demonstrate competence and interest in development journalism. Writing samples of published or unpublished media pieces will be required to test their research and writing skill. 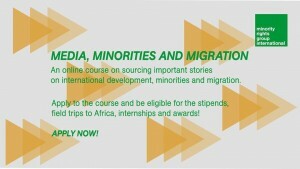 Participants in the online training who have demonstrated ability, potential and commitment will be offered the possibility to attend 7 day trips encompassing face-to-face training events (2 days) and study visits to frontline EU arrival points in Italy and Greece (and possibly Spain) and to countries of origin in Africa (5 days). Participants will be selected with a view to providing a good geographic spread across the target countries as well as gender balance. The visits will help the participants break down stereotypes and understand the realities confronting migrants arriving at the EU’s external borders, and communities of origin and why their members are migrating. Furthermore, given that a key obstacle for media outlets in the target countries is lack of resources for in-depth field reporting, the study visits will provide participants with opportunities to interview firsthand and identify personal stories. This will strengthen the development of positive narratives concerning development and migration. The project will offer stipends or bursaries of up to €1,600 to 20 successful participants to conduct in-depth reporting on issues relating to development, migration and minorities. Smaller amounts will be granted to those who choose to apply for funds to stay on in the same locations as the study visits to conduct further in-depth reporting, whereas the upper amount will allow those who are successful to plan their own independent trips. The grants contribute towards travel costs, accommodation, insurance, per diems, etc. It will not be used as fees or salaries. Within the framework of the project will be organized national high-profile round tables about on development journalism for senior media professionals. The university journalism professors and the senior editors most active and engaged in the national roundtables will be invited to attend international high-profile roundtables on development journalism. Two annual prizes per target country will be awarded to journalists who have published outstanding pieces of development journalism. Photo-stories will also be eligible. Deadline for participants: 31 August, 2018. For additional information, please contact Stanimira Hadjimitova, genderproekt@gmail.com; office@gender-bg.org, +359 888 242 592. The South East European Partnership for Media Development Project ends today, after four years of hard but rewarding work by partners in Albania, Bosnia and Herzegovina, Former Yugoslav Republic of Macedonia, Montenegro, Serbia, Bulgaria and Romania. It brought together journalists, media centers and institutes, trade unions, CSOs, academics and policy makers whose combined efforts aimed at the development of independent and accountable media in the Western Balkans. “It was a tremendous journey. We analyzed the lives of journalists and faced the challenges they face, all over the region. We tapped into positive energies but also hit obstacles more or less visible. We wish we could say that we find the region in a better state than four years ago. This is not the case. The threats to media freedom and independence are even more serious and the need for good, responsible journalism is bigger than ever. Good journalism needs not only good professionals and employers, but also good public, educated and willing to consume and support truth and transparency”, said Ioana Av?dani, director of the Center for Independent Journalism in Bucharest and project manager. “Threats towards media professionals and the lack of sensitivity to freedom of expression is a crime and we expect politicians to protect these freedoms rather than limit them. Underestimating the freedom of expression is equal to non-observance of good international standards and practices and contributes to SEE region’s poor image on the global media scene”, says Yana Pelovska, Managing Director of the Media Development Center, Bulgaria. The Media Development Center (MDC), Bulgaria, signed a collaboration agreement and became a member of the Brussels-based European Association for Viewers Interests (EAVI). The Bulgarian organization will reinforce the partnership network of 40 associations, institutions and companies from all across Europe and beyond and will strengthen the advocacy efforts for media literacy and full citizenship in Europe. 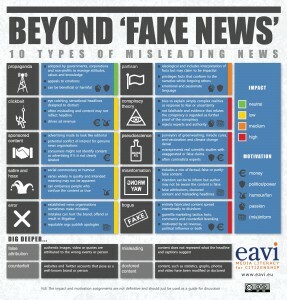 By joining forces EAVI and the Media Development Center will facilitate the adoption of initiatives that enable citizens read, write and participate in public life through the media. 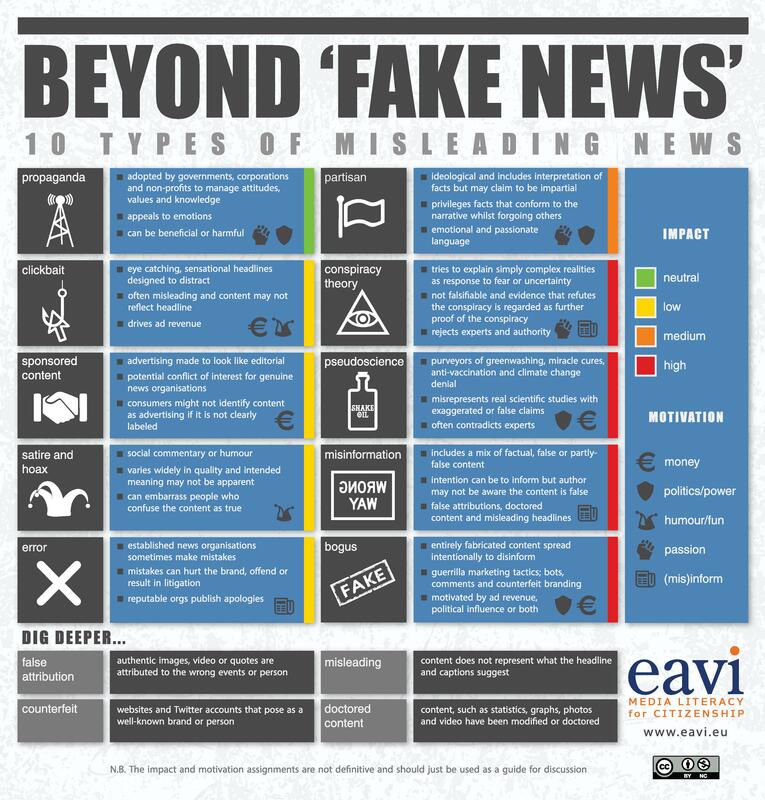 EAVI represents citizens interests in the European sphere through lobbying, conferences, networking, research, media literacy focused projects, the development of good practices and the production of online content of resources with a particular attention to the education of young people. Media Development Center, Sofia (MDC) is a non-profit, non-partisan organization founded in 1998. It was established to promote independent media in Bulgaria, and to foster capacity-building of the media by encouraging good practice in journalism, stimulating the professional ethics, institutionalizing the dialogue among the state administration, the media and the NGO sector.